Also on display, besides the installation in the large hall, are two video works by Forsythe. “Bookmaking” (2008) has been re-edited for the purposes of this exhibition. A wall of monitors features film sequences, cut in rapid succession, that show Forsythe as he tries to print a book with his own body. 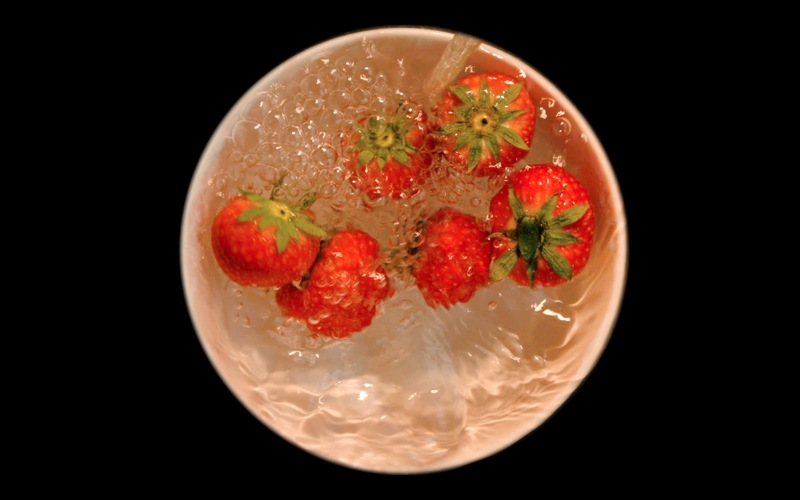 In the latest video work by William Forsythe, we see strawberries being immersed over and over by a jet of water. In contrast to the recognizable choreographic positions in the other two works, this video piece depicts a clearly defined organization instigated by other means.